We are very lucky to live less than two miles away from Thorpe Park and within a very short drive from both Legoland and Chessington World of Adventures. In this part of the world a Merlin Annual Pass is almost a necessary accessory of childhood, and my children take for granted the ability to just pop into Thorpe Park for an hour after school and for us to meet their friends there. 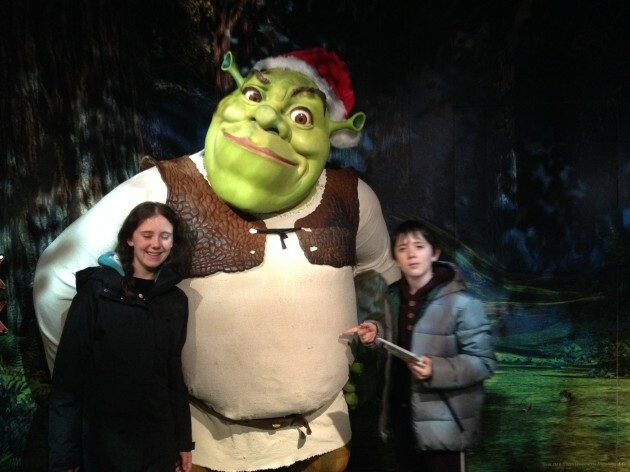 So when the nice people from Merlin asked us to review one of their 31 attractions, I thought we should go a bit further afield and try something that we hadn’t tried before. So I had avoided it with the children so far – there are better things to do in London – also because I don’t watch any soaps nor keep up with pop music or other celebrity gossip, I suspected that I might not even be able to identify half of the people depicted there, so what would be the point? But for the sake of reviewing we decided to give it a go. We were advised to go after 3pm to avoid the crowds (it closes at 7 and the experience takes about 2 hours). So we got there at about 3.30. Our first experience was a great throng of people outside Baker Street and we were directed to the Box Office which had a queue of about 150 people waiting outside. 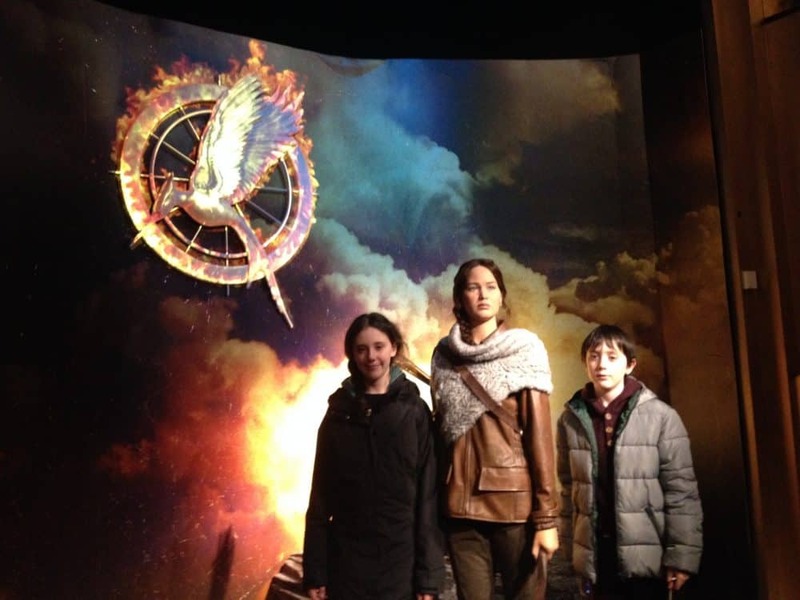 My heart sank – so exactly like what I remembered and I very nearly bailed out at that stage and took the children to the London Eye instead. However we got to the back of the Box Office queue and met up with a very helpful member of staff who informed us that with our family Merlin Annual pass we could bypass that queue and go straight into the Fast Start door. The children were mega-excited as we wafted past all the waiting crowds. We had to wait about 20 minutes for the cash desk. The cost to get in on the door was £30 for adults and £25 for children – in retrospect I did not think the attraction would have been worth that much, but of course with the Merlin Annual pass we did not have to pay. And then we were in. I was really pleasantly surprised. To start off with the celebrities on show were people that even I could recognise, and the children were able to fill me in on the one or two folks that I couldn’t put a name to. 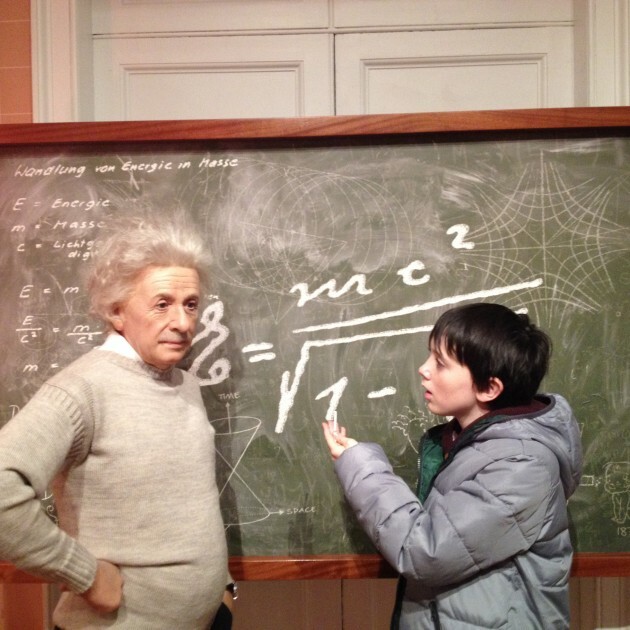 There were people to appeal to all ages and interests of visitors, from Einstein and Steven Hawking, to David and Victoria Beckham, from the Beatles to Justin Bieber, from Audrey Hepburn and Marilyn Monroe to Jennifer Lawrence dressed as Katniss Everdeen. And secondly, in this selfie-obsessed age, the visitors are now encouraged to get up close and personal with the models. 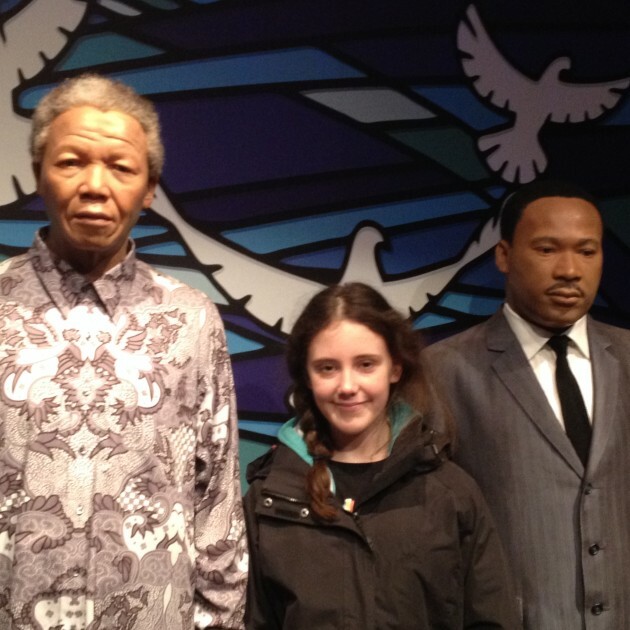 Before long my children were rubbing shoulders with world leaders, royalty, film and pop stars and their favourite sporting and scientific heroes, as well as a few fictional characters. There were a lot of people there, but entry is restricted (hence the queue) so it never felt too crowded. The backdrops that the characters were set against were well lit and the models were well posed and even a smartphone amateur like me could get some really great photos. I was interested to see whether the Chamber of Horrors would be quite as gruesome as my childhood imagination had remembered it. But when we got there, we were offered the chance to bypass it. Without any prompting from me, both children (aged 10 and 12) said they didn’t want to go in there, and so we didn’t, and moved straight past it to the next bit. We all really enjoyed the little taxi ride through various scenes depicting the history of London. They seem to have picked scenes which the children learn a lot about in school (Great Fire, Second World War, 1960s) and the commentary, music and the scenes themselves were very entertaining. So then the last bit. I vaguely remember going to the Planetarium as a child, being very excited at the idea of planets and stars being projected onto the ceiling of a dome shaped cinema, and then being totally underwhelmed and bored by the reality of it all. But no, the Planetarium is no more – since 2010 it has been replaced with a 4D Marvel Super Heroes experience. If you don’t know what 4D is – basically you watch a 3D movie (which was very realistic indeed) and your seat provides extra special effects (spray of water and air, vibrations and a poke in the back now and then) The water spray effect when somebody sneezed and you could see the 3d droplets coming off the screen had everybody squealing, and the bit where the roof appeared to come off the dome and a superhero came in chasing a villain had us all wriggling and cringing away. We absolutely loved this bit and really wanted to stay in and do it again. 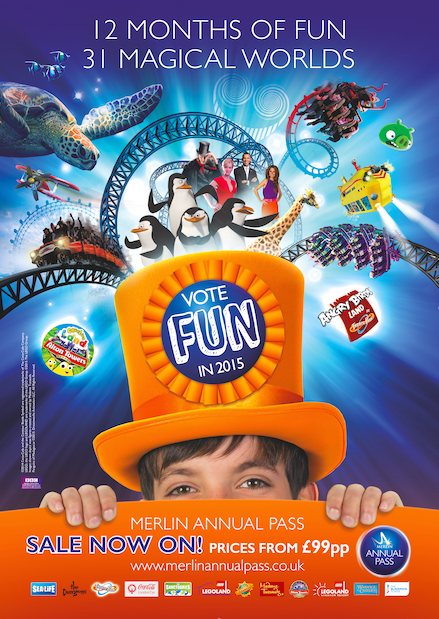 VOTE FUN in 2015 with Merlin Annual Pass! A Merlin Annual Pass unlocks 31 Worlds of FUN across the UK – worlds including Alton Towers Resort, Chessington World of Adventures Resort, LEGOLAND® Windsor Resort, THORPE PARK Resort and SEA LIFE centres around the country. Worlds full of FUN for every family. Worlds you can visit as much as you like for 12 EXTRAORDINARY months. 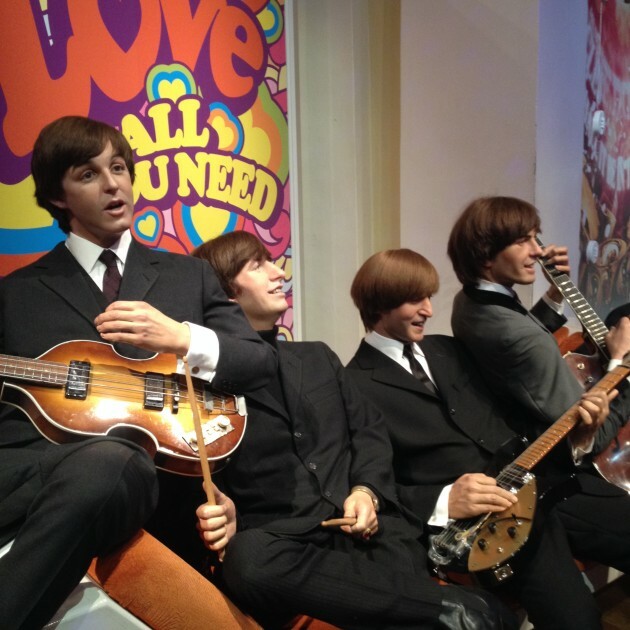 In London, SWOON at celebrities in Madame Tussauds, SQUEAK with fear down in the London Dungeons (perfect for in-laws – just saying), GASP at the views from the London Eye and GAWP at the astonishing creatures in the London Aquarium. To buy your Merlin Annual Pass click here. The kids would love to visit Alton Towers. 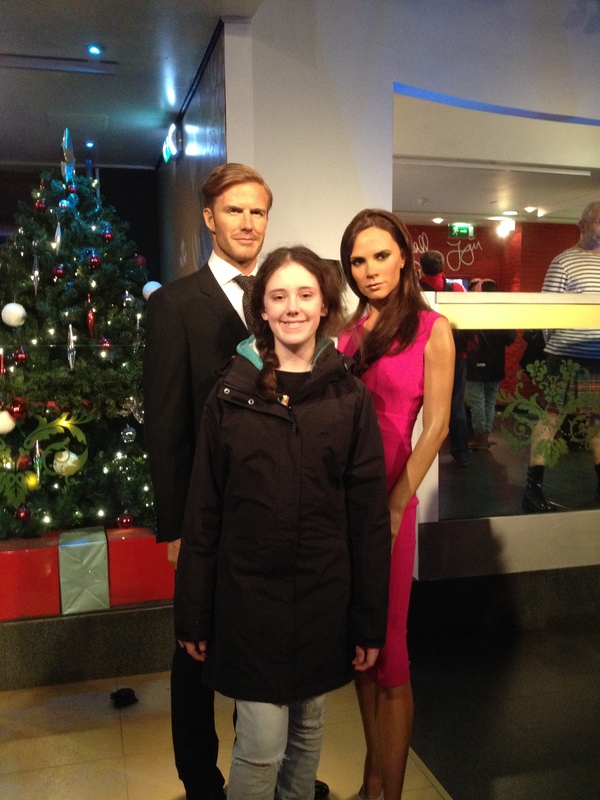 I would visit Madam Tussauds looks fab and kids really want to go!! I would love to go to Madame Tussauds, and that would definitely be my first choice! Chessington! 🙂 I used to work there as a summer job many moons ago!! Great post. 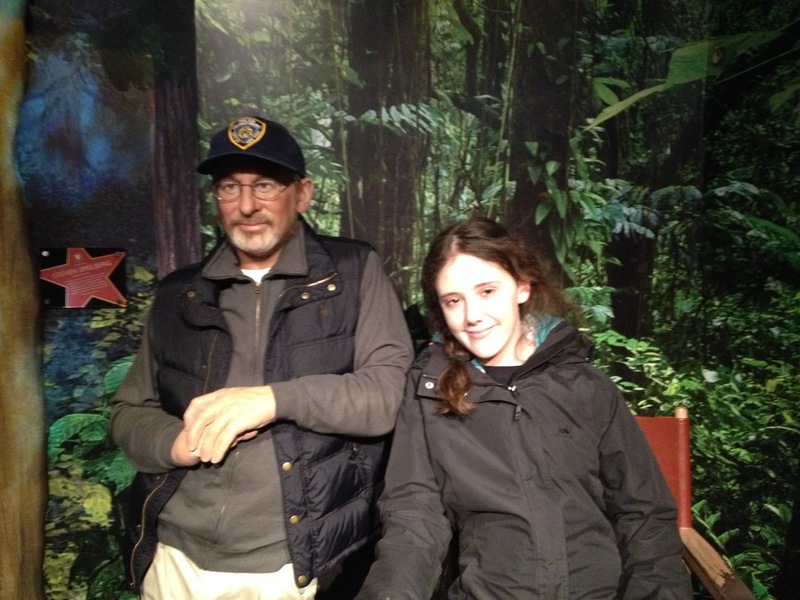 I love Madame Tussauds. The wash figures look so real, like they are alive. I hope i have the occasion to see them. Thank you for sharing this article with us. We are having a trip to London soon so it would have to be the London Eye! The boys would love this. Alton Towers, for cbeebies land! Legoland first, everybody loves playing with lego!